What’s the secret to Kourtney Kardashian’s flawless skin? Celebrity make-up artist Rokael Lizama let slip recently that he uses Carter Beauty’s bestselling, Full Measure HD Foundation to create Kardashian’s flawless glow. 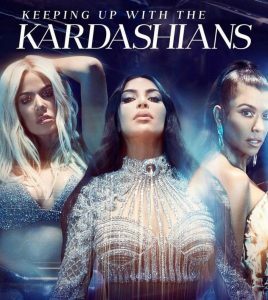 The celebrity make-up artist credits the cosmetic for holding fast under the lights on set, having used it during filming for the promo of the latest season of Keeping Up with the Kardashians. Entrepreneur Marissa Carter is no stranger to A-list love, last month Ariana Grande wore her $13 Supreme Gel Liner in the music video for “Break up with your girlfriend, I’m bored”, and sister brand Cocoa Brown by Marissa Carter counts both Kylie Jenner and Khloe Kardashian as fans. Carter Beauty’s Full Measure HD Foundation is a lightweight, full coverage foundation, which leaves a flawless finish. Full Measure was developed for creating impeccable looks that last and is buildable for medium to full coverage. The light, water-based formula glides onto the skin leaving incredible coverage as a base for any type of make-up look. As for which shade Kourtney wears? Crème Brûlée. Get it before it’s gone. To keep the momentum moving forward, Carter Beauty by Marissa Carter has taken steps to expand their business and make its complete line of Peta-approved, cruelty-free beauty products available in Canada. To celebrate the market expansion, Marissa Carter herself held an exclusive Make-Up Masterclass event March 22nd and 23rd, at the Hudson’s Bay, Queen Street store, in Toronto, Canada. At these events, attendees were given the unique opportunity to see Marissa Carter in action as she demonstrated the Carter Beauty line. Marissa Carter launched the Cocoa Brown by Marissa Carter tanning range in 2012. In that time, the brand has grown to become the leading express tan product in Ireland, the UK, and Sweden, and can be found in 23 countries and 20,000 retailers worldwide. Showcase is Ireland’s leading creative exhibition. In 2018, the event welcomed more than 5,000 attendees to Dublin, with sales totaling about US $28 million. Showcase 2019 proved to be another big success. 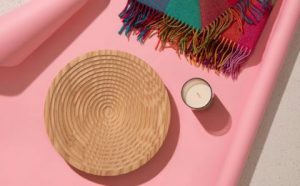 Over 450 of Ireland’s leading design and crafts companies were on display at this year’s show at the Royal Dublin Society (RDS), spanning the areas of fashion, jewelry, gifts and homeware. This year’s theme was Aran knitwear, and there was plenty to be seen, with beautiful new pieces from Irish companies including Aran Woollen Mills, Fishermen out of Ireland and Irelands Eye. 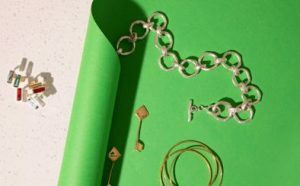 The craftsmanship on display highlighted how classic high-quality pieces can include a modern design-led twist, something that is at the core of Irish products in this area. Lizzie Curran, a market advisor for Enterprise Ireland covering consumer retail in the Canadian market, was delighted to facilitate the hosting of a group of buyers and media personnel from Canada in Dublin for Showcase 2019. During the event, Lizzie held an information session on the Canadian retail space, which was attended by more than 40 companies supported by Enterprise Ireland. The aim of the session was to highlight added opportunities for clients in the Canadian market since the introduction of the CETA agreement in 2017, which eliminated up to 98% of tariffs on goods imported from Europe. Two of Canada’s top retailers – award-winning GotStyle Menswear and LuxBeauty Boutique – participated in a panel that provided Irish companies with valuable insights into what Canadian retailers are looking for from the right supplier. For more information and a full list of exhibitors, please visit: https://www.showcaseireland.com. Catie Riordan works in the New York office of Enterprise Ireland, the trade and investment agency. Catie talked to us about her work as a market advisor in the consumer retail sector, where she helps US companies to source Irish partners with innovative solutions for their biggest business challenges. Tell me about your background and why you chose to work for Enterprise Ireland in New York? I’m from Dublin and I’ve been in the US for 3 years now (including two years in Boston and one year in NYC!). I graduated with a BA in Business and German from Trinity College Dublin and started my career at Enterprise Ireland, in the Boston office working with life sciences companies. In 2017, I was promoted to Market Advisor, Consumer Retail, in which I manage a portfolio of companies across subsectors including apparel, beauty, gift, home, and retail technology. What do you enjoy most about working with Enterprise Ireland? Making American companies aware of the quality of Irish products and working with so many inspiring Irish entrepreneurs. I like knowing that I am making an impact and working with great people. It is an interesting, exciting and rewarding role! What do US companies value most about working with Enterprise Ireland? Enterprise Ireland offers US partners the security of knowing that due diligence has been carried out on each Irish company we recommend. We are trusted for both the quality of matching we offer and for how transparent and impartial we are – the needs and wants of the US companies we work with are always front of mind. Can you describe an example of this value? We have a longstanding relationship with University of Notre Dame, with many Irish products sold in their large on campus store. On game day, this store will have turnover in the millions! Enterprise Ireland brings the buying team to Ireland every year and connects them with companies of interest throughout the year. In 2017, we held an Ireland Day in-store with a group of six Irish companies on game day. What do US companies need from Irish suppliers? Quality and value are very important. Retail buyers need to see product differentiation, and immediately be able to assess the tangible value of having this product on their shelf. We are lucky in that there is also a good cultural fit between Ireland and the US. Irish companies are seen as flexible, easy to do business with, and that they work hard to build strong, lasting partnerships. What categories of Irish products are most popular in the US right now? Knitwear is always a huge category for Irish suppliers in the US and there are some great companies such as Aran Woollen Mills, Irelands Eye Knitwear, Fisherman Out of Ireland and West End Knitwear who are really pushing the boundaries. Similarly, there is great interest in tweed with companies like Magee, Mucros Weavers, Hanna Hats and Triona Design. We are also seeing a rise in the number of Irish skincare and body care products coming to the US, with Pestle & Mortar, Cocoa Brown and Voya all very active in the US market. How is Enterprise Ireland making a difference for Irish companies doing business in the US? Enterprise Ireland has developed strong links with the Museum Store Association, representing 1,100 independent stores managed by curators selling high-end goods. Significant progress has been made in educating US museums on how they can benefit from opportunities presented by doing business with us and relationships have already been established with about 15 Irish companies. What will be the top three retail trends in the next three years? Amazon provides an opportunity for brands to sell directly to their customer and minimizes the challenges of working with a big box retailer, however pressures on fulfillment are increasing as consumers expect product instantly. 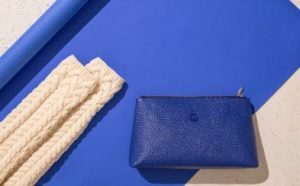 Brick and mortar stores will increasingly want exclusive ranges or product that consumers are unable to purchase on broader ecommerce platforms. Brands may need to have differing product categories for different customers. Consumers are increasingly researching their purchases before buying online or in-store. Customer reviews and testimonials are critical, and consumers want to know about the brand and its values before making a large or thoughtful purchase.